Part: # 00223 Size: 8 oz. Purchases made through unauthorized Third Party Retail sites such as AMAZON.COM & EBAY. COM will VOID ALL GUARANTEES and/or WARRANTIES associated with BlueDevil Products. If you have a question or concern about your online purchase please call 1.888.863.0426 before ordering. Red Angel A/C Stop Leak Multi-Application System comes with everything you need for multiple applications of Red Angel which repairs common leak points in automotive A/C systems . Activated at the leak point only, Red Angel will not crystallize with existing oxygen or moisture in the system. After AC leak repair is achieved, Red Angel will continue to lubricate and condition working parts. 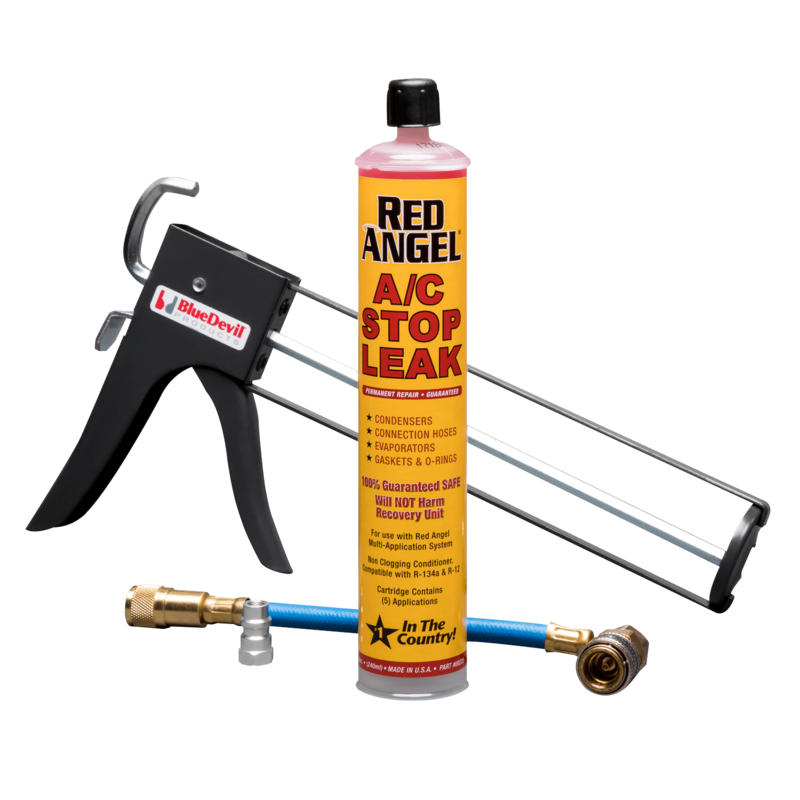 Use Red Angel to fix AC leaks, for preventative maintenance, or to warranty hard part replacement against future leak points. Confirm Injection Gun System is set-up for use per instructions. Locate the A/C low side service port. Start engine and turn A/C to maximum cooling. 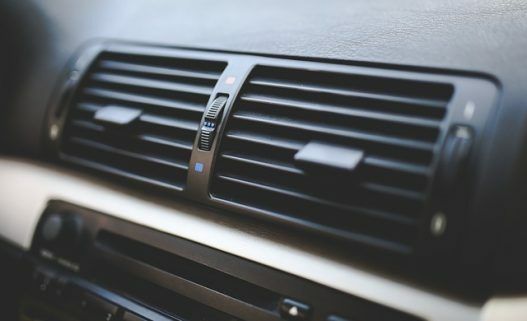 Remove the drip cap from the R-134a hose and connect to the low side port of the A/C system. 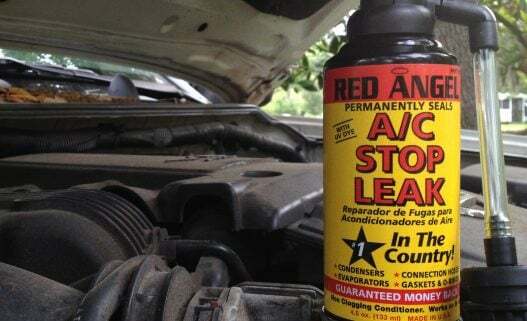 Inject 1 application of Red Angel A/C Stop Leak into the system by squeezing the trigger. 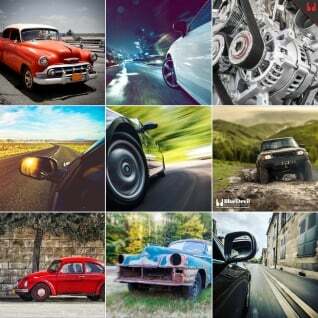 One application is enough for most vehicles. Disconnect adapter from the low side port and re-attach drip cap. Allow A/C system to run for 15 minutes to circulate Red Angel and seal all leaks. Add recommended amount of refrigerant per system requirements. CAUTION: Avoid contact with skin. Keep out of reach of children. Always use protective eyewear. DISPOSAL: In accordance with all local, state and federal regulations. If you have further questions in regards to the proper application of this product, please call 1.888.863.0426 to speak with our Tech Department. Red Angel is activated by a refrigerant charge, system pressure and flow velocity at the leak point. Once activated, it forms a chemical weld while repairing the leak. One cartridge will service up to 5 vehicles, approximately 1.6 oz per application. What comes in the kit? The Red Angel Multi-Application system comes with a spotgun Injector as well as a R-134a service hose and R-12 adapter. Also included is an 8 oz. cartridge of Red Angel A/C Stop Leak. Can I install it without an oil injector? Yes, the Red Angel Multi-Application System comes with all the necessary components for installation including hose, coupler and spotgun. Can I buy additional cartridges? Yes, once you have used all 5 applications, replacement cartridges are sold separately. Stay in touch with new products, promotions, free stuff and more! Subscribe to our newsletter now!